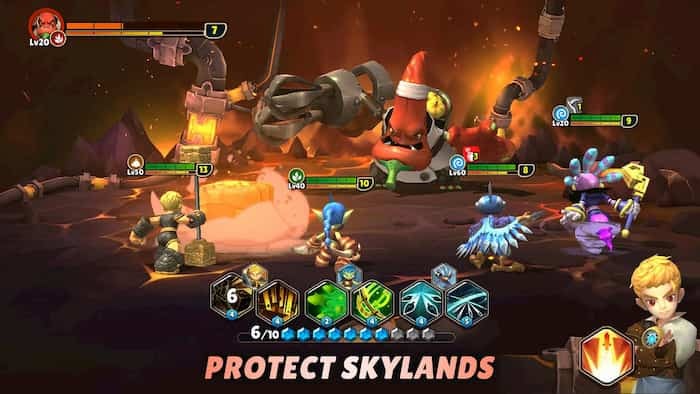 Whether you grew up playing Spryo as a kid or you simply enjoy playing battle focused rpg games, if you plan on downloading Skylanders Ring of Heroes for PC, continue reading to discover everything you need to know. 1. There are over 80 Skylanders to play with. Skylanders Ring of Heroes, features a multitude of fun Skylanders to unlock and play with. One example of which is Spyro, who is a purple dragon who was the hero of Spyro the Dragon, a popular adventure based game which was released in 1998 and who has since featured in a wide variety of games. Some of the other characters who you’ll get to meet and recruit to your team of heroes include Stealth Elf and Eruptor. 2. In order to progress quickly make sure to equip ruins to your Skylanders. One of the most effective ways to level up quickly is to collect magical ruins, which you’ll be able to equip to each of your Skylanders. Each Skylander can be equipped with up to 10 ruins at a time. So it’s well worth selecting which ruins to assign to each of your Skylanders carefully. 3. You’ll be able to add both Skylanders and villains to your team. If you assumed that you’d only be able to fight with Skylanders by your side, think again. In Skylanders Ring of Heroes, you’ll be able to summon villains to fight along side you as well as your favorite Skylanders. If you choose, you can even create a team full of villains to fight for you. The choice is up to you. 4. Learn how to use your Skylanders and villains elements to your advantage. Each Skylander and villain has an element. As each element has specific strengths and weaknesses, it’s a wise idea to learn how to form balanced teams, that will allow you to defeat opponents from different elements. As even the most powerful Skylander will have weaknesses when it comes to fighting characters from 1-2 specific elements. 5. Take on real life competitors in Skylanders Ring of Heroes’ PVP Arena. If you prefer playing real life players, instead of AI opponents, make sure to head straight to the PVP Arena, where you’ll be able to challenge online players from around the world. 6. Frequent events are hosted. 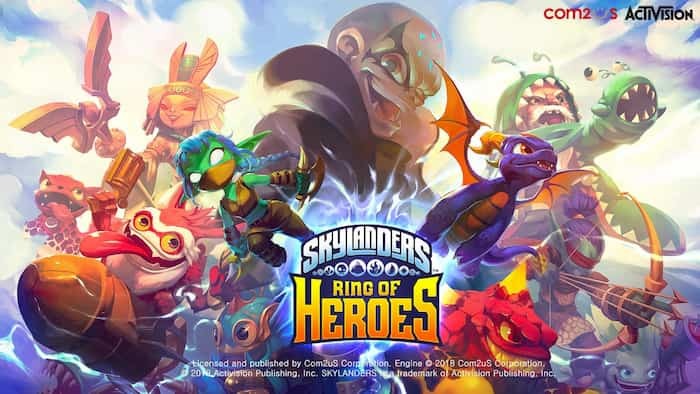 One of the reasons, why you’ll want to log on and play Skylanders Ring of Heroes on a daily basis is that exciting, limited time events are added on a regular basis. So you’ll always have new missions to complete and new rewards to strive for. As an example, you may look on one day to find that a mysterious new dungeon has popped up on your map, to explore. 7. You can train your Skylanders and villains. In order to increase your chances of winning competitive battles, make sure to spend time training each of your Skylanders and villains! 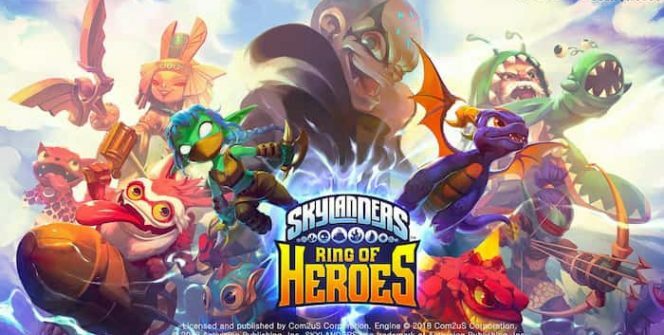 So if you love the idea of forming a team of cute Skylanders to take on teams from around the world, you’ll quickly become addicted to playing Skylanders Ring of Heroes! Sometimes when playing Skylanders Ring of Heroes, bluestacks ask you fee to pay but gives you option to download some apps. Every time it asks you just select “Install apps” and continue using it free. I hope you enjoyed this article, please rate and share. If you have problems running Skylanders Ring of Heroes on your desktop or any other issues, leave a comment below.